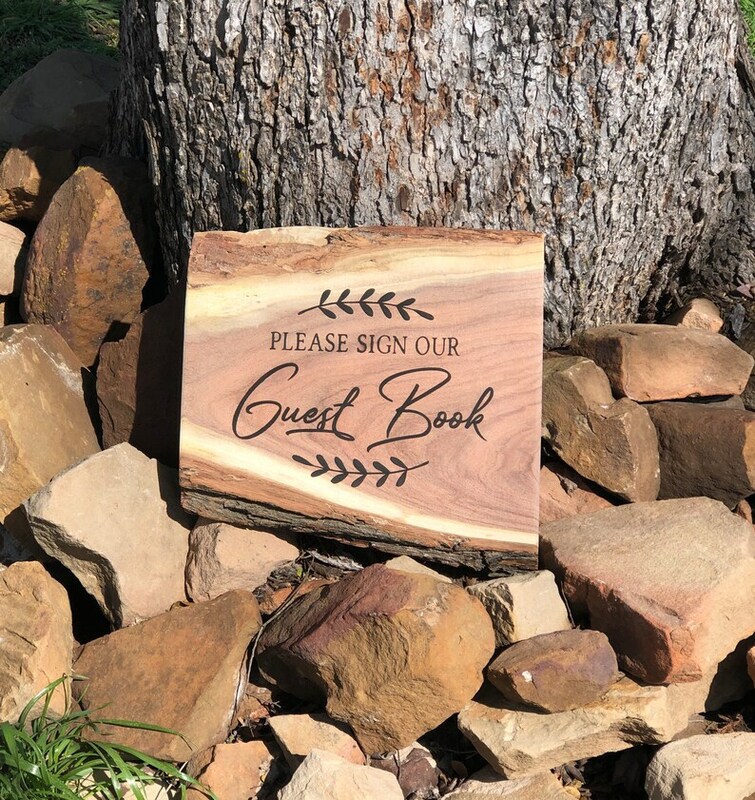 Made from the same reclaimed Mesquite, Pecan or Red Cedar wood as our best-selling "Guest Book Logs", we are now offering coordinating "Sign Our Guest Book" signs. Each live edge piece measures approximately 12" x 12" with a thickness of about 1". Laser engraved with" Please Sign Our Guest Book".